Joan is an American author, actor, voiceover artist and on-camera host. 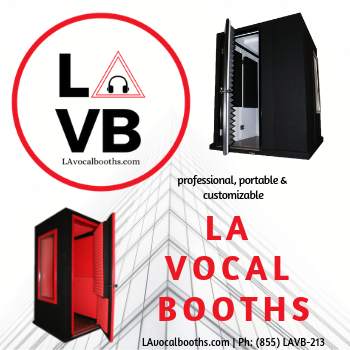 She is the Co-founder, CCO and Secretary of the Society of Voice Arts and Sciences™ (SOVAS™), an international nonprofit corporation that oversees That’s Voiceover!™ Career Expo, the Voice Arts® Awards and multiple programs providing training, education, academic/financial aid scholarships and career counseling for voice actors. 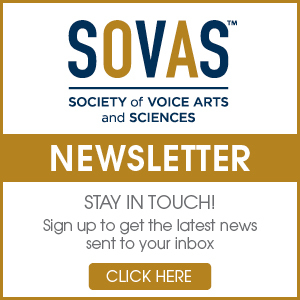 SOVAS™ is the longest running voiceover conference in the world and has honored legendary talents, such as James Earl Jones, Lily Tomlin, Muhammad Ali, William Shatner, Michael Buffer, Erin Brockovich, Ken Burns, Nancy Cartwright, Sigourney Weaver, Patrick Howard Fraley, Phil Lamarr and Malcom-Jamal Warner. Joan is the author of “Secrets of Voice-Over Success”, the first book to chronicle multiple career journeys of some of the top voice actors in America. The book remains the most prolific book on the subject after 3 editions over more than 10 years. In addition, Joan has written a variety of trade articles, and co-written more than 50 columns for Backstage Magazine with her husband, Rudy Gaskins. Alongside her duties as CCO for SOVAS™, Joan is among a very select group of professionals who are widely known and sought after, for teaching the craft of voice acting. She has taught the Columbia University Graduate Drama Class for the past 2 years and also teaches for New York University and Kentucky University, Actors Institute (NYC), New York’s Professional Performing Arts School. As a voice actors and producer, Joan has won a combined 6TellyAwards and2 PromaxBDA Awards. Her Voice acting work includes commercials, promos and narration for ESPN, ABC’s, The View, HLN, TBS, HBO, Grand Theft Auto, Showtime, Nickelodeon, Chase Bank, American Express, NICK at NITE, ABC News, CBS Sports, Lifetime, Lexus, SPIKE TV.She’s the on-camera host for A&E’s Tribeca Film Festival Red Carpet Interviews. And, Joan is got it going on live. Having announcedBravo’s Moving Image Salute to Will Smith, theRed Dress Awards, Muse Awards for Woman in Television & Film,PromaxBDA Conference and Matrix Awards and, Joan’s career has always been coupled with her passion for philanthropic giving – spotlighted with feature articles in The New York Times, Black Enterprise, New York Post, Hollywood Reporter, New York Daily News, Backstage, Media Week, ADWEEK and Broadcasting & Cable and Crain’s USA. Joan currently resides in Weehawken, New Jersey with her husband and business partner, Rudy Gaskins.